Sometimes when faced with a tough decision, the best thing we can do is not look at the positives, but look at the negatives. The term “playing devil’s advocate” is basically about attempting to provoke debate by introducing an opposing opinion to a discussion. This has actually been a proven psychological strategy for aiding in the efficiency of decision making. Speaking of a tough decision, the 2018 GMC Sierra 2500HD vs 2018 Ram 2500 is as tough as a competition as trucks can get, and choosing between them will be no easy task. It is easy to see what they are doing right, but now it is time to tear them apart and see what they are doing wrong. Both of these trucks are honestly pretty impressive when it comes to performance capability and bold styling. Neither looks as if they would back down in a fight and there is a good chance neither would. 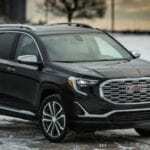 GMC and Ram are both skilled in the art of making trucks considering they are their main focus, but overall it seems like GMC has the edge when it comes to these two. The 2018 Sierra 2500HD measure to be 224-258″ L x 80-81″ W x 78″ H with a curb weight of 5,741 to 6,689 pounds. Its style is all about refined boldness. Three body styles and two bed sizes give plenty of customization options in order to fit everyone needs. Made with high-grade steel, this is a tough truck that can handle itself on and off the road. 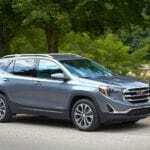 The 2018 model comes with three V8 engine options, one of which is runs on diesel fuel, which is gaining popularity by the year for its efficiency when it comes to price and power. The others are the 6L Variable Valve Timing V8 and 6L V8 SFI. At most, you will get 445 hp and 910 lb-ft of torque with the turbo diesel engine. Both engines are paired with a 6-speed automatic transmission. This model can also tow up to 18,100 pounds when properly equipped and gets at most 18 mpg highway. As for features, you will find the Sierra 2500 to be very well equipped when it comes to safety, comfort, entertainment, and convenience features that are sure to show you that trucks can be more than just powerhouses. The 2018 Ram 2500 measures to be 230-259″ L x 79-80″ W x 76-81″ H and has a curb weight of 5,940 to 7,231 pounds. This model also offers three cab and two bed types for your convenience. Additionally, the Ram 2500 is made with some of the hardest and lightest materials humanity has to offer for the automotive world. Mechanically the Ram 2500 doesn’t exactly hit the same highs as the Sierra 2500. It also offers a fair lineup of V8 engines, including diesel options, but none of them are able to outmatch the Sierra on its best day. The most you will get out of the Ram 2500 is 410 hp and 800 lb-ft of torque. The max towing is pretty fair with 17,980 pounds of potential, but the fuel is pretty lacking with only 14 mpg highway which is low even for a heavy-duty truck. 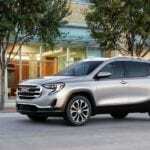 As for features Ram isn’t exactly known for focusing on being brilliant more than they are focused on being tough, but this model will get the job done depending on how far you are willing to upgrade. Safety, comfort, and entertainment are always available at Ram, for a price. What the Sierra 2500 is Doing Wrong? The Sierra 2500 is surprisingly hard to find fault in no matter what automotive category you look into. The design is balanced, the power if efficient, and the features are vast. But, that being said someone has to nitpick at the tiny flaws. GMC prides itself in being one of the top truck specialists in the nation, and sometimes that can be a bit of a turn-off. This pride has caused GMC to take on a luxury demographic and in doing so has caused a bit of a price increase without much reasoning other than this was a truck made by those who focus on trucks. Ram does not have this same issue, but then again, the Ram series is hardly as refined as the Sierra series. No matter how well you dress it up, a big truck is still a big truck. It will have low efficiency and have difficulty handling even with the best transmission and suspension in the automotive world. Now the size is, of course, why many people invest in these beasts, but if a smaller vehicle could do the same work than many would convert away from bigger trucks. What the Ram 2500 is Doing Wrong? The 2018 Ram 2500 is clearly no pushover on the streets, but it is also most certainly not at the top of its class. Ford, Chevy, and yes GMC have all outmatched it in power with their impressive towing capability, acceleration, handling, and fuel efficiency. Although the 2018 Ram 2500 is bold in its own way, the design honestly is fairly boring besides its massive size. Nothing really stands out, and it also doesn’t look simple in a clear and attractive way like other big trucks have managed to do. The Ram 2500 will get the job done, but if you are looking for something that will turn heads you probably didn’t even notice it in the first place. Most of the time the numbers and stats just seem to speak better than any pretty words can begin to describe. So here is some of the most noteworthy information about these models. *Both 6.0L engines produce 360 horsepower and 380 lb-ft torque, while the 6.6L engine produces an incredible 445 horsepower and 910 lb-ft torque. It is extremely difficult to say anything bad about either of these massive and highly-efficient trucks, but everything has their negative side no matter how small it is. Even the smallest hint of doubt can make a decision much easier, and that is why we play devil’s advocate. Both of these trucks are incredibly impressive, versatile, and powerful, however choosing which truck is right for you will truly come down to your personal preferences and requirements. The 2018 GMC Sierra 2500HD - The Best, New Truck to Hit the Market This Year!